E-mail is everywhere and many popular email client applications such as (Thunderbird, Seamonkey, Eudora) use MBOX file to store messages. Considering the wide use of email messages in business enterprises, they become the primary source to perform illegitimate activities. During organizational level of investigation, various cases require conversion of large sized file to perform analysis and extraction of evidence. During the investigation, each loophole in illicit cases like phishing, bullying, disclosure of confidential information creates great difficulty in proceeding with the investigation. Therefore, even a bit of missing information either in the form of data loss or data destroyed can cause a lot of havoc in the investigation. Nevertheless, with the advancement in technology, experts got equipped with forensic tools and technologies to complete the examination with a high degree of accuracy. At times, when techies need to analyze and carve evidence from MBOX file, the major challenge is the availability of the origin application because MBOX file is created by many email clients. In such case; investigators need a file format, which can easily be accessed, and MSG file format turns out to be the first choice. 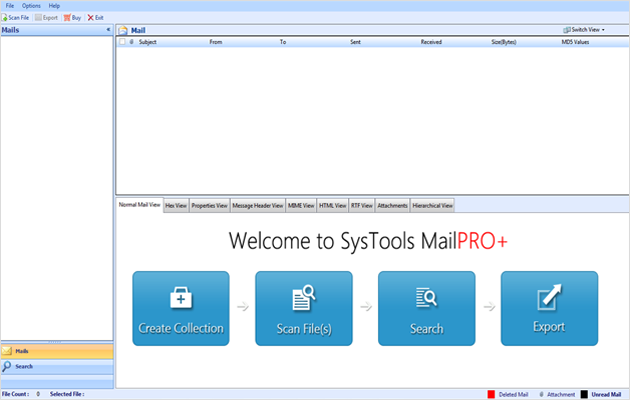 Launch Mail Pro+ software to begin the process of analyzing MBOX file in the form of MSG file. This application is a complete suite for executing various forensic activities like; analyze file in multiple view modes, performing deep and advanced search, generating complete export report and many more. Once the software is configured and launched successfully, click on Scan File to convert MBOX to MSG. A pop-up window will open where MBOX file can be added. Now, in the next pop-up window, left panel shows the MBOX file folder in tree structure, which can further be analyzed with emails listed on the right-panel. Multiple view modes such as; Properties View, Hex View, MIME View, RTF View and many more assist techies to analyze and extract evidence in the form of each message of culprit’s mailbox. In MBOX to MSG converter software, click Export option in order to export the MBOX file into MSG file format. 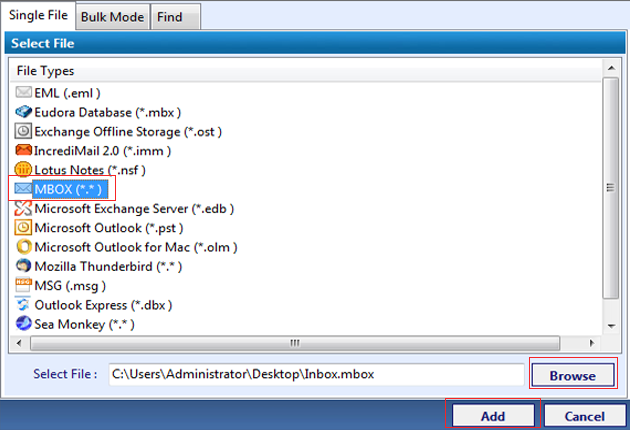 User can export desired email messages by checking or un-unchecking the checkbox provided against each. The software has the facility to store the export result at preferred location for further reference. Click on Browse button and choose the destination folder to export MSG file and then click on OK. The software provides a comprehensive platform to the investigators that not only convert MBOX to MSG instead provides lots of other crucial features that play vital role in the investigation of offenders’ mailbox. Experts, by using the software according to above-mentioned way can create a complete report of the case that can be well presented in the judicial court.